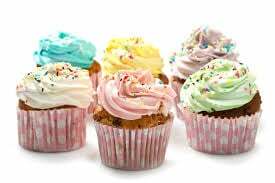 At playtime tomorrow (Tuesday), the children have the opportunity to buy cakes from year 5 in order to raise money for clean water in Tanzania. If this is something you would like your children to contribute to, please remind them to bring 50p to school. 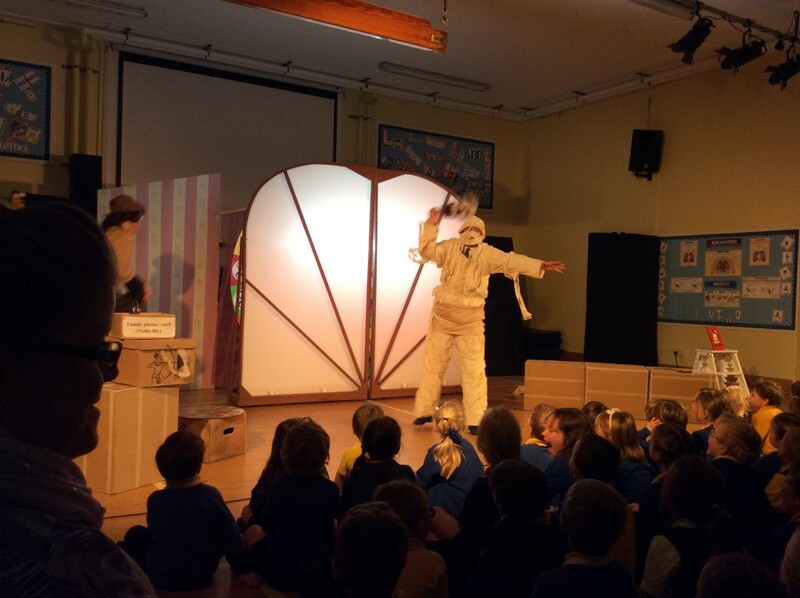 The children really enjoyed a visit from the Rhubarb Theatre Group this week. 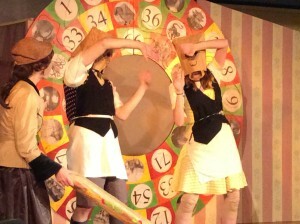 They performed ‘Granny’s Game’ which took children on an adventure to lots of different countries. Here are some photos. 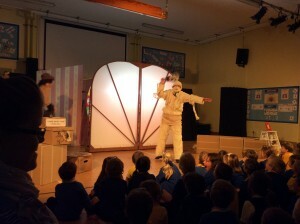 This is the final week before half term and we are really pleased with how well the children have settled into Year 1. We hope you enjoyed having the opportunity to come and see what they get up to in the Discovery Zone and Garden – the children really enjoyed being able to show you their favourite activities. In literacy this week we will be innovating the story of ‘We’re Going on a Bear Hunt’ by asking the children to think of different settings which they could go through on a bear hunt. Children will be using an app called ‘Book Creator’ to create a page for our new class version of the story. 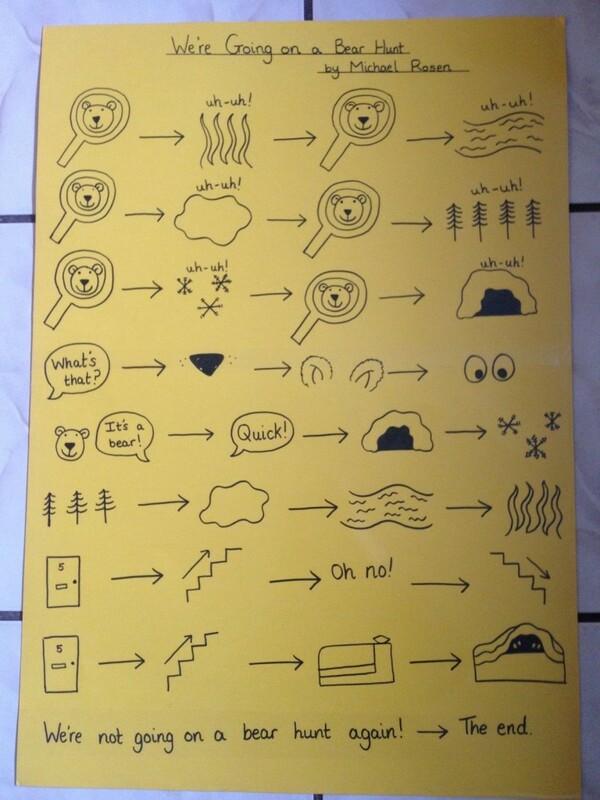 We have been using the story map pictured below in class to help us re-tell the story without using the book. 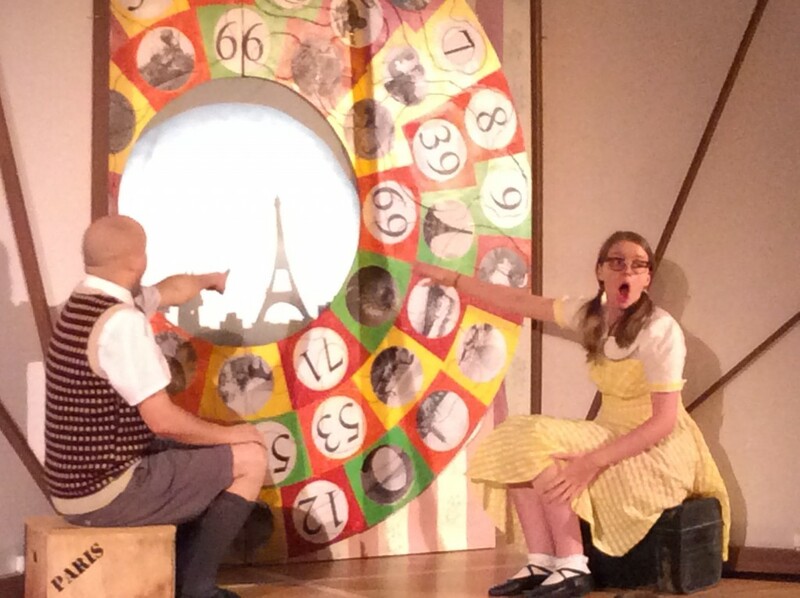 See if your child can tell you the story with the actions! In our maths lessons this week we will be working on money. We will begin by getting children to recognise the different coins before using them to make small amounts. Click below for some money activities which you might like to use to help your child at home. We will also be doing some work on 3D shapes next week. We would like to make junk models using different shaped boxes or containers. If you have any suitable recycling or empty boxes that you can bring in we would be really grateful. The flu immunisations will take place on Tuesday 18th for those children who are having them. We are looking forward to seeing you for the parents evening meetings next week and hope you have a enjoyable half term from 24th – 28th October. We hope you enjoyed having the opportunity this week to come and see what the children get up to in the Discovery Zone and Garden. The children certainly enjoyed being able to show you around! We would really love to have your feedback about the areas; what you think of them, which areas your children enjoy the most etc. Please feel free to comment on this post or e-mail your child’s teacher directly. Next week we shall be naming and describing 2D shapes. In the Discovery Zone and garden children will be set some shape related challenges including making pictures using cut out shapes, sorting shapes and taking photographs of objects that are different shapes. We shall also be working on building addition stories using practical objects and cubes. Next week we shall be continuing our work on Bears and the story ‘We’re Going on a Bear Hunt.’ Children will be sequencing the story and completing sentence work based on the text. 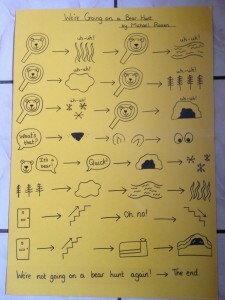 Your child should have brought home a letter about high frequency words together with a word card. If you have any comments or questions please write them in the purple reading record or speak to your child’s class teacher. The children have a purple reading record book which they bring home each day. This is mainly for you to keep track of your child’s reading and we check these regularly. If you feel that your child is finding their reading book too challenging or indeed feel that they are reading them too easily please let us know. We read a different set of books with the children in school, usually in a group which we call guided reading and therefore we don’t comment on these in the purple reading record books. Our new school nurse Vicki Allen is now available in the Studio every other Thursday morning for drop in visits. Her next visit will be Thursday 13th October. Your child’s class teacher can also make referrals to her if you would like her support you with any specific issues. 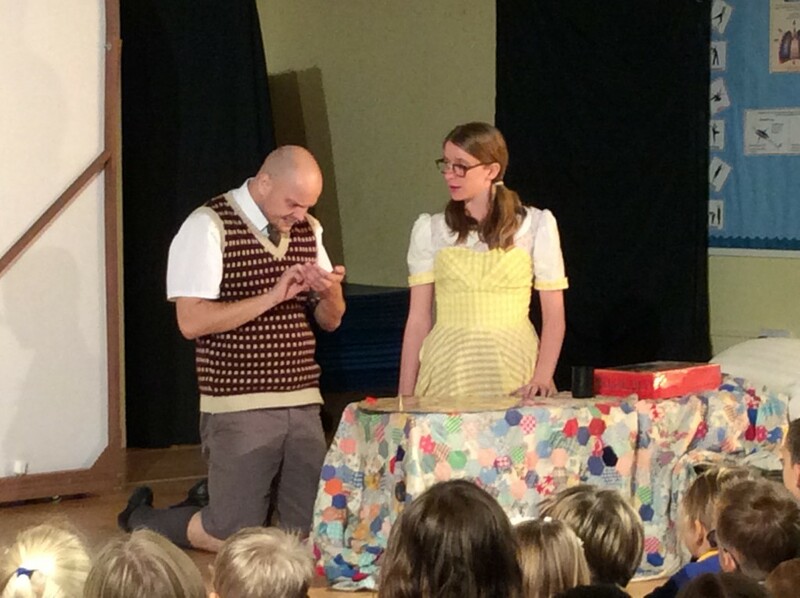 On Thursday 13th October the children will enjoy a visit from the Rhubarb Theatre Company. These are always very enjoyable performances and so we hope that the children talk to you at home about what the show was about. Individual school photographs will be taken during the school day on Friday 14th October.